What's a birthday party without some food and drinks? Starting December 7th, the Capcom Bar will be serving up Rockman-themed eatery for the franchise's 30th anniversary. Delicacies included a three-layer Roll cake, Rush salmon pasta, Dr. Cossack and Kalinka berry vodka, Dr. Light milk shakes, and Forte coffee floats. 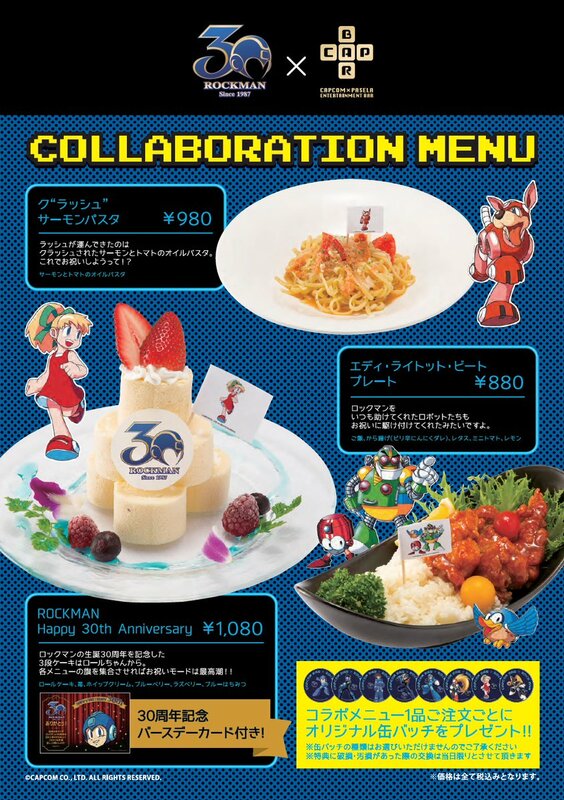 Additionally, participants will receive an exclusive Rockman birthday card (left image; bottom left) and one of eight collectable badges. 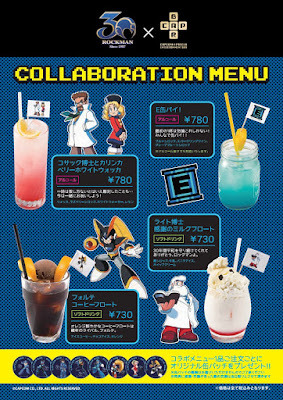 The gang's all here except for reps from Zero and ZX. Strange, but whatever. It really is amazing that "scoop of ice cream with some lemon slices" can accurately describe Bass' helmet. Yes, i'm surprised at how well that visual work. Credits: Druken Moogle (in my country there's a bar that sells this same drink, but instead of Gin they use Peruvian glucose syrup -"jarabe de goma"). 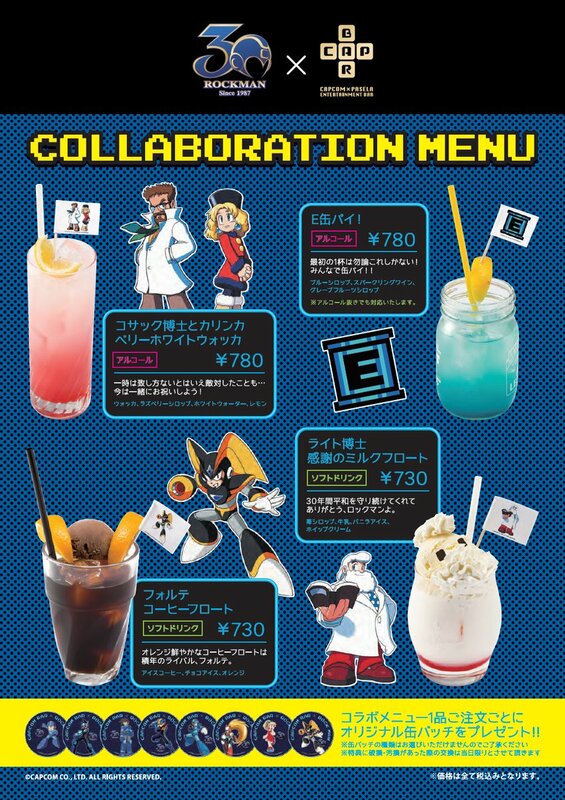 Snubbing Zero and ZX is probably just lingering Inafune resentment.